Every industry has their own special issues and their own problems, and for every industry they must develop ways to overcome these problems and issues. Many of them may never be solvable but others might be completely remedied or limited with new technological advances, loads of cash, or simply a bit of creativity. The auto sales industry is no different. What happens when a sales person is already helping a customer, and say one or two other customers show up at the same time? Likely those other two customers will lack patience, as most human beings do, and never be helped because they got frustrated that the sales representative had the nerve to help someone else, and thus they simply left after the longest two minute wait in the history of their lives. What happens when a customer shows up after or before hours and there is no one there to help them? Likely they will never be seen on the lot again. What happens when someone would simply like to look around without being hassled by a sales person? Likely they will not receive the information necessary to help them become interested enough to make a purchase, and a sale might be lost. These are just a few of the potential problems a car dealership might have to deal with, but you can rest assured there are many others. In regards to these though, they could all be solved by using QR codes. The QR code remedy is pretty simple; it requires placing a QR code on all cars. When these QR codes are scanned (due to a fantastic ‘call to action,’ which would obviously be present due to the users reading of our QR Code best practices sheet) they would take the customer to a mobile optimized site that provided all sorts of relevant information. For example, they might be directed to a video of the specific car, or pricing information, or consumer reports ratings, or the warranty information or really anything else you can think of to help a customer acquire the necessary information to make a purchase. Using this simple technology limits the number of lost sales due to all of the problems listed above, by creating a substitute for a sales representative for when they are unavailable or not wanted. A QR code is simple, cost effective mobile marketing technology to capturing more sales leads, with absolutely no down side. If you own a car dealership you have no excuse to not use this technology. QR code can serve hundreds or even thousands of purposes. Some of those purposes might be for distributing information, connecting people or groups, capturing leads, donating to causes, providing added value, driving sales or whatever. The one particular way a QR code might be used that I wish to highlight here, and is relevant for all store owners, is using QR codes to extend your store hours and help you bring in revenue even while your store is closed. Say you have store hours between 10 and 6, you are likely losing out on some potential customers before and after your store hours, but likely not enough for you to justify the cost of remaining open. To stay open you would have to pay employees, use electricity, and whatever other expenses you might accrue due to your particular type of business. So that being said, how can you catch some of those lost customers when your doors are close? The solution of course is the QR code. 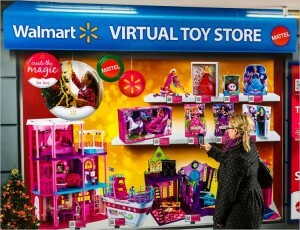 Let me preface this by saying that this may work better for some type of stores over others. 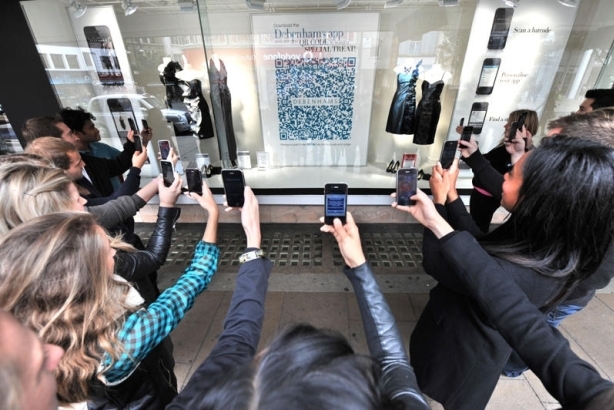 But how you can drive sales by using QR codes is by placing the products you offer with their own designated QR code in your store window, or some other display tower or wall outside of your store. 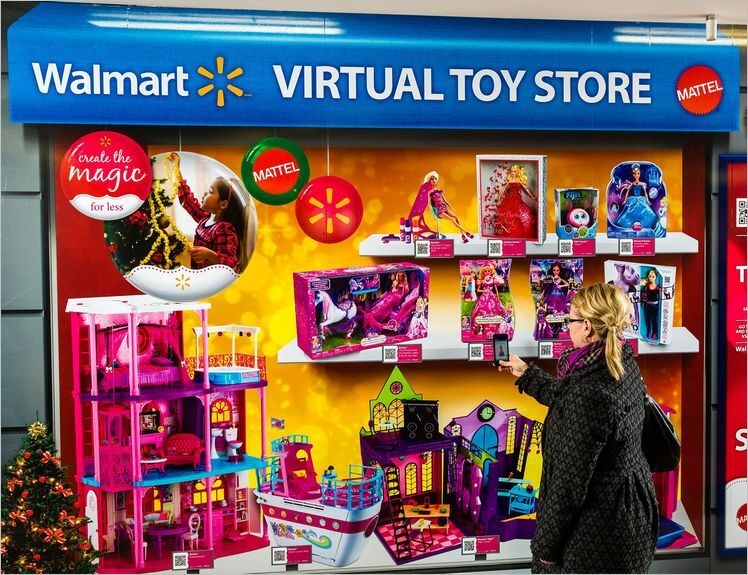 The customer would then be able to scan the code and make a purchase right there, and the product (depending on what it is) might be sent to their house, or held for pick-up by them at a later date. This simple remedy has the potential to capture many lost sales, and costs you almost nothing for overhead. In fact, depending on your type of business, it might even be beneficial to have during regular store hours for when you are busy, or if you have a customer who is in a rush. This way you won’t lose out on a sale if there is too long of a wait and your customer lacks patience. The uses for QR codes are endless, and there is almost guaranteed to be a productive use for your particular need. Really it is just a matter of looking at your entire business closely, analyzing it, thinking creatively and you will surely be able to come up with a great use for QR codes to either provide added value or drive sales. Just make sure you read our best practices guide before jumping into the QR code game. Mark’s Marketing Toolbox is a web site that reviews and rates marketing and ecommerce products and tools. The author, Mark, handpicks all products and tools to make sure only the best products are featured, and to make sure there are no shenanigans. Mark includes a five star rating system with his reviews to make the potential consumer’s choice easier in deciding what product or tool is best for them. The topics he rates include, Pricing , Features, Ease of Use, and Support. The “Pricing” category is pretty self explanatory, if it is inexpensive it gets a high rating. The “Features” category is based on what the platform offers its customers, for example, does it simply offer a QR code generator or does it offer a QR code generator plus a mobile web site creation platform and other relevant features. The “Ease of Use” factor is based off whether a technically challenged individual could easily use the product or not. Lastly, the “support” rating is based on whether the consumer support staff is accessible through online, phone, and whether there are tutorials or webinars available to answer most questions. Taken together the author then offers an overall score. So what ratings were given to Qfuse? Mark’s Marketing Toolbox gave Qfuse his ‘Editor’s Choice’ in the QR Code Generator Category, and gave an overall scores of 4.5/5 stars. Pricing received 5/5, Features 4.5/5, Ease of Use 4.5/5, and Support 4.5/5. 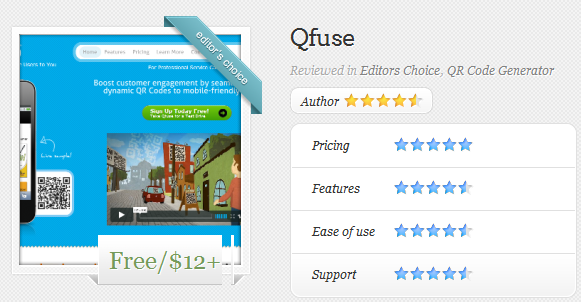 Qfuse also appears in his “Top Rated Products” category. To see his full review and rating of Qfuse, click here. As a Real Estate Agent you need to do whatever you can to stand out to increase the possibility of a sale. Unfortunately you cannot be everywhere at once, nor can your standard marketing materials. Luckily though, there is a remedy for this problem, and that same remedy will allow you to stand out and hopefully in turn increase the likelihood of a sale. The remedy, of course, is the QR code. Now I assume you wouldn’t be reading this blog if you didn’t know what a QR code was, but in case I assume wrongly, here is a brief explanation. A QR code is a 2-D bar code that can be scanned by all of your typical smart phones. Upon scanning you can direct the user to a landing page of your choice, whether it be a video, article, your website or really anything you can imagine. For the Real Estate Agent the uses of such a technology are many. So let’s discuss a few of those possibilities here. What happens when someone drives by one of your listings but you aren’t there to help them out or provide them with relevant information? In all likelihood you will miss out on a sale. What if, on the other hand, you could provide the passerby with the information they would have received from you if you were standing there waiting for them as they randomly stopped by one of your locations? This would certainly go a long way to helping you make a sale wouldn’t it? Of course it would, and with a QR code this is exactly what you will be able to do. 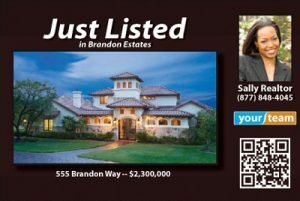 By placing a QR code on your signs for each individual listing, a passerby can stop, scan your QR code and be taken to all the relevant information on the house in front of them. By doing this you can quickly generate new sales leads. You might have a video of the inside of the house on the landing page, an informational section with all of the house specs, information about the neighborhood and school districts, and whatever other information you deem important on the mobile landing page for smartphones. Perhaps you also link to other similar listings in the area, and include your contact information so they can easily get in touch with you. This use of the QR code above can also be used in a similar way by including a QR code linking to each individual listing in all of your print advertisements and marketing material. If you marketing material is not of a specific listing though, you might direct the landing page to your general web site. This would probably be ideal for your QR code on your business card for example. Due to the many QR codes needed—at least one per listing—you want to make sure you have a mobile marketing management platform that makes the management of QR Codes easy and is inexpensive. You also want to make sure all landing pages are mobile optimized, that is, make sure they direct the user to a mobile website and not a desktop web site. It would help to have the platform you are using automatically create a mobile website for each of your QR codes to direct to; you know, like this one. It is incredibly important to read our best practices page before using QR codes, otherwise your QR code use may be a waste of your time and resources. QR codes can be a Real Estate Agent’s best friend and greatest tool. Just make sure you are using it properly and wisely. Business cards are a small yet important part of almost any business or profession. They are an extension of yourself or your company, and are often the only physical connection your potential customer will have to connect with and remember you by when you depart. Unfortunately business cards are small and contain very limited amounts of information. They fail to fully recap what you can do for the client or impress upon a potential customer why they should choose you over someone else. There is of course a remedy for this: QR codes. Due to the small size of a business card including a QR code can help ensure the potential customer will always have access to the information you deem most relevant, and ensuring that even if you aren’t in front of the person, they can refresh their memory about you or learn more about your work. 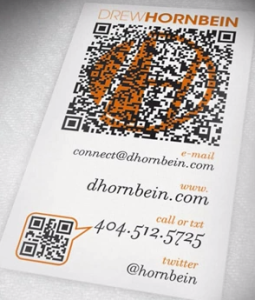 There are many potential uses for QR codes being placed on your business card, but we will cover a few of them here. One potential use of a QR code is upon scanning having the landing page present an option of a V-Card. What a V-Card does is allow the person, with just a touch of a button, download your contact information into their phone contacts, so if they ever lose your business card they will always have your contact information. Simple and useful. A slightly more creative use, in addition to the V-Card, is to include a bio or ‘about’ paragraph to explain in more detail what makes you stand out. You can also direct the landing page to your website or your company’s website. However, if you are going to do this you need to make sure it is a mobile optimized site, and that the content is relevant to what they might be interested in. Perhaps you are an artist and wish for them to see your latest works on you site; this would then be a good use. If, however, you are a Financial Adviser and you are simply directing them to the home page of your company’s desktop website, you have just wasted their time; this is a terrible use of a QR code. You might have a link to your Facebook page, twitter feed, RSS feed or any other social media outlets that you think might be of interest to your prospective customer. Or perhaps link towards some professional journal article you wrote, law brief, or whatever other information might be relevant and point out your expertise in an area. Make it easy for your visitors to engage with you on social media channels through their smartphones. The uses for QR codes are endless, but so many people have yet to fully grasp their use. Starting with your business card is an easy, useful first step in grasping the abilities of QR codes for your business and career. Just make sure when you do so you adhere to our best practices, and make sure you have an easy platform to develop your QR code landing pages, are able to access scanning analytics data and do all of this for a low price.